With these target rounds, you have it all: quality, affordability, and they’re easy on your rifle barrel, too. When Federal produces this ammunition they take care to meet the same high standards used for their Premium products, but at lower prices. And because every round has a new brass case, they’re reloadable, and boxer priming helps to simplify the reload process. At 55 grain, these are moderately weighted rounds, but don’t let that fool you; they’re still fast. 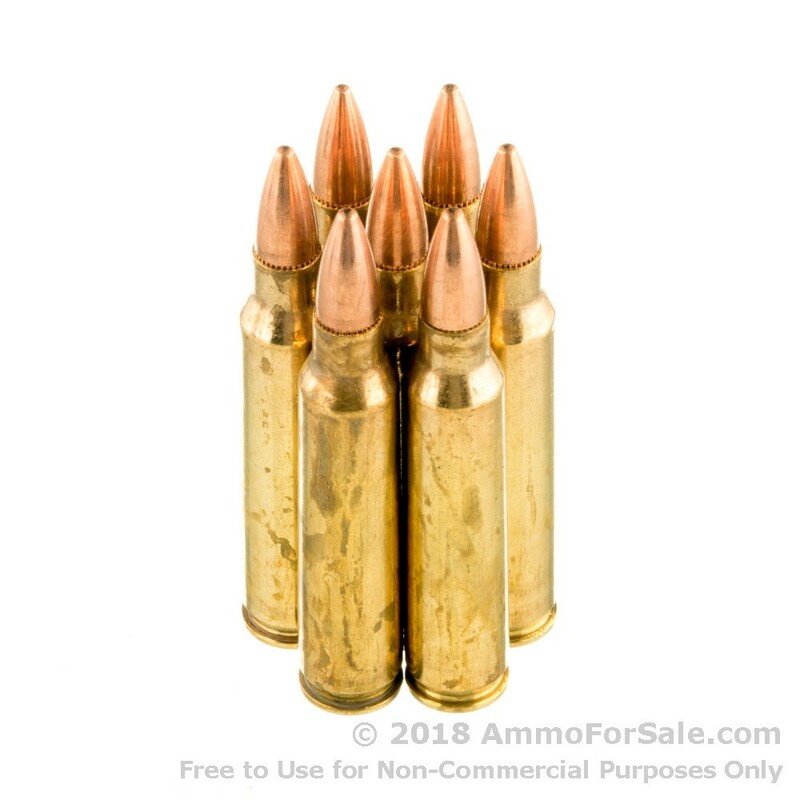 These rounds leave your muzzle with a velocity of 3,240 feet per second. 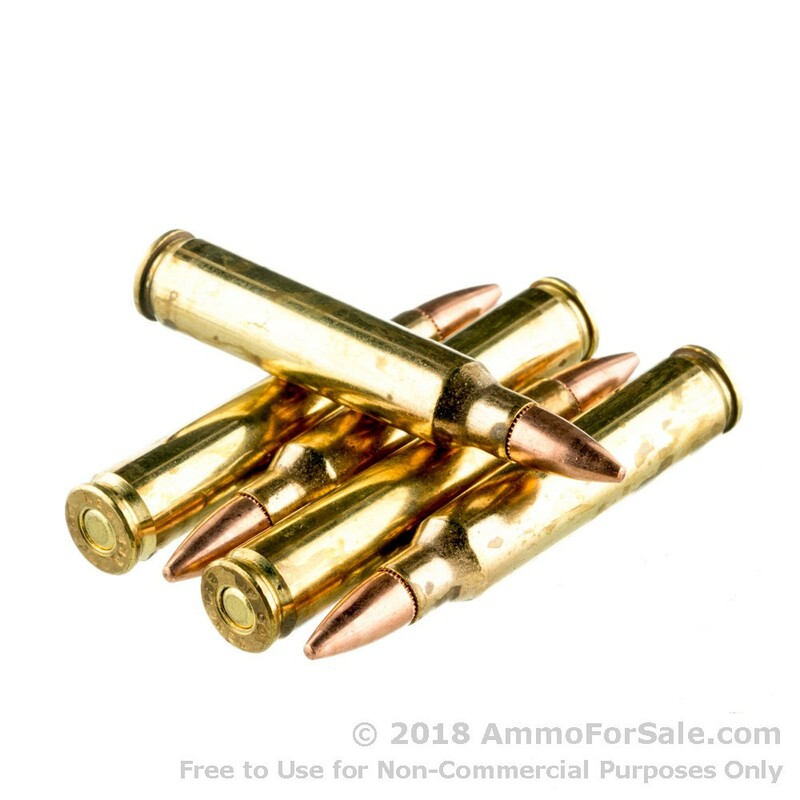 Their FMJ is ideal for target practice and plinking, and you can be sure they’ll penetrate your targets fully with a muzzle energy of 1,282 foot-pounds. They’re also designed to be non-corrosive, which is easier on your barrel and also leaves less residue. The Federal Cartridge Company is well-known in shooting circles for its years of producing ammunition not only for sport and hunting shooters but also for the military and law enforcement. In fact, during World War II, their plant was awarded an “E” for excellence by the Army and Navy. Generations of Horns have kept the Anoka, Minnesota, plant running smoothly and manufacturing fantastic products for decades. To get more bang for your buck, give this 100-round box of Federal .223 55 grain FMJ ammunition a shot. You’ll get precision manufacturing at prices that make you smile, and your rifle will get a nice meal out of the deal. If the military can put their faith in Federal, so can you. Get a box or three today and get out there and shoot. 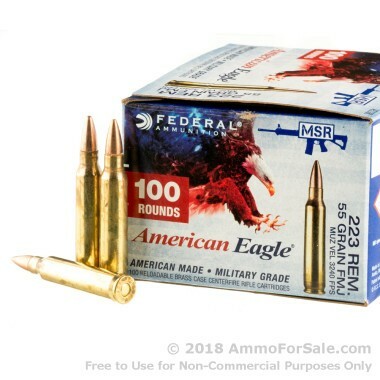 If you’d like even more of this .223 ammo, check out the 500 round package of Federal rounds here.